Difference Between Aircon Chemical Wash Vs Chemical Overhaul? First, understood that chemical cleaning is different from the general service offered by professionals. When you seek professional assistance for regular cleaning, they mostly clean the outer parts of the machine. But chemical cleaning is different. They can dismantle the main parts, such as, fan coils, water trays, and air filters and wash those with a chemical based solution. This helps to wash away the dust and dirt accumulated on the internal parts, thereby improve the cooling efficiency of your system. Ideally, you would get a chemical wash of your air con done twice a year. That way, you can extend the lifespan of your system and improve the indoor air quality. Chemical cleaning helps decrease corrosion, and control or eliminate molds. 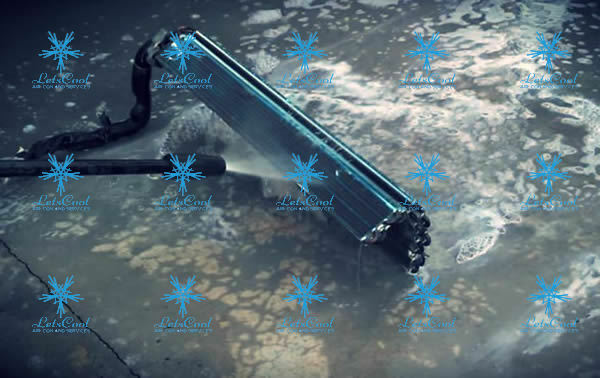 This method of cleaning is usually used as a preventive measure and helps an air con function normally for years. Unlike chemical cleaning, air con overhaul is used as a method of AC servicing or repairs. If you notice your air conditioner not cooling enough or making a loud noise or leaking water or has stopped working completely, you may want to go for an overhaul. In this process, each part of the system is deconstruct and then cleaned, repaired or replaced. HVAC professionals can tell you whether your machine wants a complete overhaul or just chemical cleaning would suffice. If you are facing any issues with the performance of your air con, you should contact an experienced technical immediately. Delay in doing the necessary servicing can further incense the problem. In general, Chemical overhaul helps deal with the following issues. After dismantling the parts, each of those is checked thoroughly. Depending on the condition of the parts, some of them may need to be repaired, while others may require complete replacement. Once you get an AC overhaul done, you can expect your system to run like new all over again. How to Stop Aircon Water leakage Problem?